Silver silk brocade, gold lace, weaving, embroidery. 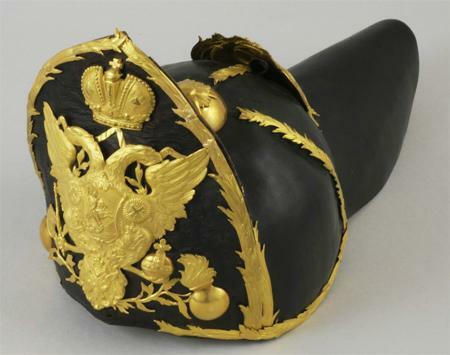 Belonged to Empress Elizaveta Petrovna. Gold, leather, kidskin, taffeta, casting, embossing, weaving. In the middle of the XVIIIth century the cut of clothes imitated extravagant designs of the rococo style. The fashion was for narrow shoulders, tiny waists and skirts flaring out on whalebone farthingales. 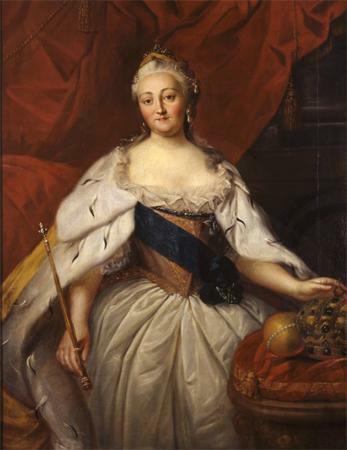 For the coronation ceremony of 1742 the daughter of Peter the Great, Elizabeth, has ordered to purchase fabrics of the Russian textile production only. The Empress has also decided to wear a dress executed of smooth patterned brocade probably by Russian makers. Silver as a precious decorative material became extremely popular in the XVIIIth century. In Sweden, then in France, Denmark and Russia it has been the custom to use smooth plain brocade for the monarch's ceremonial costume, the white surface of which was embroidered with silver threads. In Russia in the XVIIIth century, such kind of material - the silk brocade - was called the "glace" (as in French). Coronation dresses of silk shining brocade gave the impression of being embossed with precious silver. 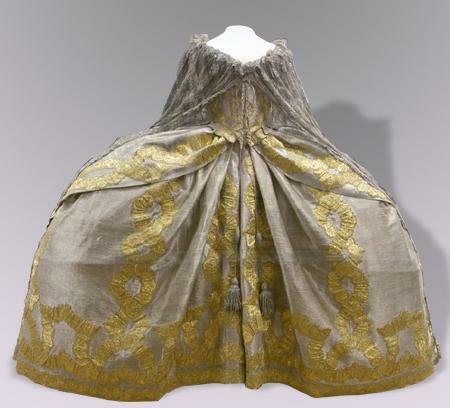 From 1742 all coronation gowns in Russia have been executed of smooth silver brocade draped with silver tassels on torsades; from the late XVIIIth century - the cloth was woven with silver and finished with silver spangles and sequins. Under the reign of Elizabeth, the Russian court life abounded with splendid balls and masquerades, sheer luxury of which amazed foreign guests. The Empress issued decrees governing the styles of dresses and decorations worn by courtiers. She wore the most exquisite dresses and owned fifteen thousand ball gowns, several thousand pairs of shoes as well as an unlimited number of accessories.